HAUP will be celebrating its 39th anniversary with an annual dinner dance featuring community leaders, celebrities, lawmakers and policymakers. The event’s theme is “Outside In,” in recognition of the progress made by the Haitian immigrant community over the last 40 years. Back then Haitians were marginalized and labored largely on the sidelines. Today we count no less than 4 key Haitian-American policymakers in the de Blasio Administration, the most senior being Jacques Jiha, Commissioner of Finance and former HAUP board member. 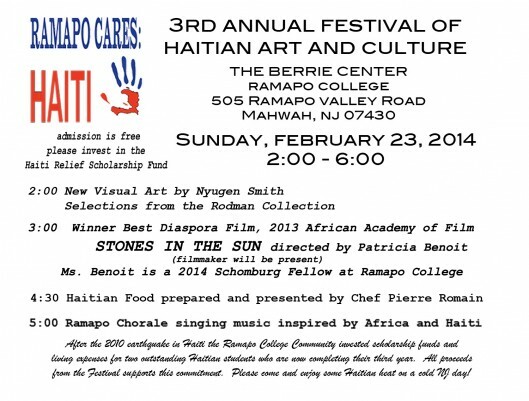 You are cordially invited to the 3rd Annual Festival of Haitian Art and Culture at Ramapo College of New Jersey’s Berrie Center. This year the festival features the film Stones in the Sun (2012) 95 minutes directed by Patricia Benoit and starring Edwidge Danticat. This is a beautifully told story full of poignancy, intrigue, drama, and suspense following the lives of Haitian immigrants living in NYC. Stones in the Sun was the winner of the best diaspora film award at the 2013 African Academy Film Awards. Food will be provided by Chef Pierre Romain. Arts, crafts, and books about Haiti will also be available to purchase. 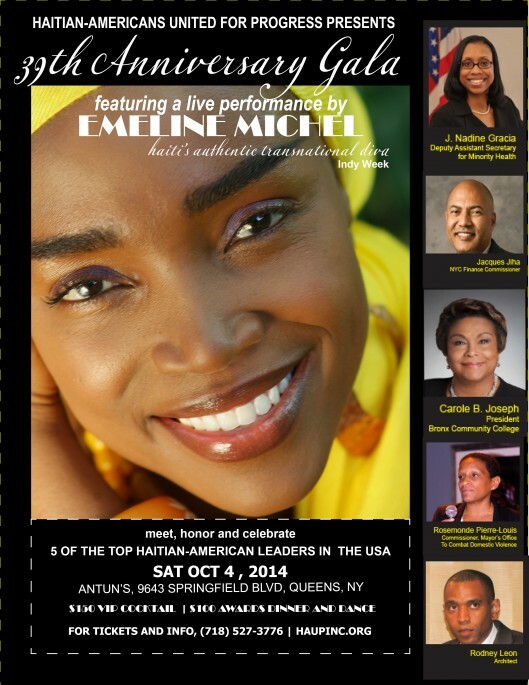 100% of the profits made will be going to the Haiti Relief Scholarship Fund at Ramapo College. 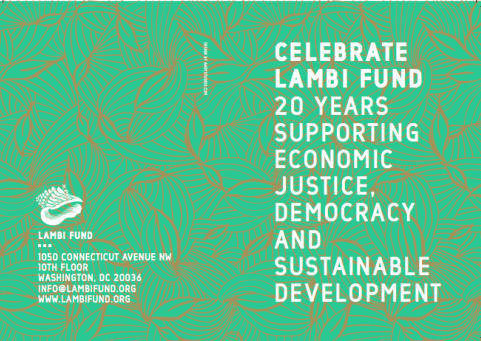 Join us and help support Haitian culture, art, and education.